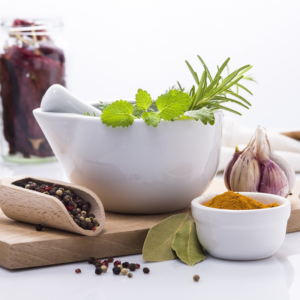 You’ll be able to use everything you’ll learn at the Herb Academy in a professional health and wellness coaching practice. The difference between practicing as a wellness coach and a herbalist is that you’ll be using what you’ve learned in a holistic healthy living context and not a narrow disease focused context. Putting it another way: You’ll be equipped to help clients make lasting healthy lifestyle changes as opposed to dispensing short term quick fixes. Herbology will be one of the prized tools in your toolbox. Not the only tool. And as the saying goes: If the only tool you have is a hammer, everything looks like a nail. We offer our certificates as an official recognition and confirmation of completed training on the part of the student. The value and validity of The Herb Academy’s courses is evidenced by our solid reputation in the industry, our principal’s more than three decades of experience in the herbology industy, The Herb Academy’s commitment to using distance learning best practices, and the strong scientific foundation of all material and coaching strategies used by The Herb Academy. Side note: It is important that you understand that the certificates does not enable you to practice herbal medicine. It is also important that you understand that in the United States of America, and in South Africa, no such certificate or qualification exist. Not to our knowledge anyway. If your mind is set on practicing medicine look elsewhere to obtain a formal recognized doctorate degree in Naturopathy. Completing our – or any other institution’s – herbalist training does not entitle you to practice medicine in South Africa or the USA. You don’t need a formal qualification to take responsibility for your own and your family’s health and wellness. You also don’t need government approval to be a well informed family herbalist. And that is exactly what our – and the many other outstanding distance learning herbology schools out there – herbalist training does. We equip you to become a well informed and educated consumer. We also empower you to take care of yourself and your family, naturally. 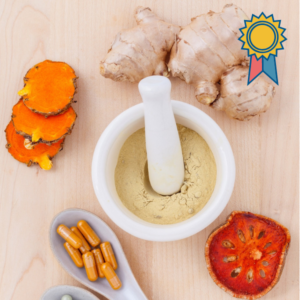 As stated elsewhere – completing our (or any other institutions) herbalist training does not entitle you to practice medicine in South Africa or the USA. At The Herb Academy we’ve taken a holistic view of wellness and as such we’ve aligned ourselves more with the wellness / health coaching industry than the traditional healer and clinical herbalist fraternity. This does not mean that we are not herbologists at heart. Quite the contrary. We still live and breathe herbs and nature cure approaches. And the largest part of your family herbalist training is devoted to herbology. We do however believe that the herbology tools and skill set (the herbs and the green healers approach to wellness) best serve our family, friends and clients within the broader coaching framework than the narrower disease focused framework clinical herbalists prefer to operate in. Mainstream acceptance of health and wellness coaching certification programs. Having a broader community to serve (target market) and the opportunity to specialize if one would like to. Avoiding the highly political and dangerous legal minefields practitioners have to work in when practicing as a clinical herbalist. Side note: The list of health coaching and herbology integrations is nearly endless. For example: the need for wellness coaches specializing in weight loss is huge. Herbal remedies and the green healers nature cure approaches are must have tools in almost any weight loss program. There are no regulations or required certifications to practice wellness or life coaching in South Africa and the United States of America. There exists no official accreditation requirements or governing body in the wellness / life coaching industry. (Not that we are aware of.) It is recommended that any prospective (or practicing) coach who is concerned regarding this matter seek advice from his/her country or local government. Each coach is encouraged to seek education and training to the degree he or she feels necessary, with the goal of being competent and professional. Please contact Di-Di should you need a recommendation for internationally recognized distance learning wellness coaching courses. Side note for South Africans: We must stress this point – In South Africa there exists no official accrediting institution or governing body for clinical herbalists. We don’t even have a SAQA qualification or unit standards or even a spot in the Allied Health Professions Council. If you are set on taking the clinical herbalist route, please look at the Traditional Healers Act or a doctorate in Naturopahty or Homeopathy as alternative avenues. Wellness coaches must be aware of, and strictly adhere to, the appropriate role of a wellness coach. Wellness coaches are not licensed health care providers or therapists and must not provide medical advice, engage in patient diagnosis, prescribe medication, or practice therapy. They do not treat or otherwise counsel those with mental illness. Wellness coaches are obligated to refer clients in need of mental or physical health therapy to an appropriate licensed professional. While counselors or therapists often deal with a patient’s mental/emotional conditions and/or trauma processing, a wellness coach never addresses such issues. The role of a wellness coach, in its most simple form, is to encourage, coach and/or act as a facilitator of a client’s self-reflection, decision making, planning for the future, and healthy changes. While clear boundaries exist between coaching and therapy, due to the legal obligations and requirements for practicing therapy, there are many similarities. Both therapists and coaches work one-on-one with clients in an ongoing relationship. Certain psychological principles and theoretical frameworks are used in both therapy and coaching in order to facilitate positive life change. Under no circumstances should a wellness coach refer to themselves as a therapist (or herbalist), refer to what they do as therapy, or practice as a mental health counselor or therapist. Although there are no official legal ethical governing body for wellness (and life) coaches, the industry standard is to follow the guidelines set forth for therapists and psychologists. We won’t bore you with that right now. But when you get to the higher level courses we do provide you with the information you need. The coaching courses we recommend will also provide you with Coaching Ethics and Standards.